Throughout history, women have been dehumanized, degraded, and oppressed in many ways. Still, behind the scenes, women have always served on the front lines. Although the list is endless, a few that come to mind are Mamie Phipps Clark and her contributions to the social sciences; Sonia Sotomayor and her contributions to criminal justice reform; and Rosa Parks who fearlessly sparked a civil rights movement we know as the Montgomery Bus Boycott. 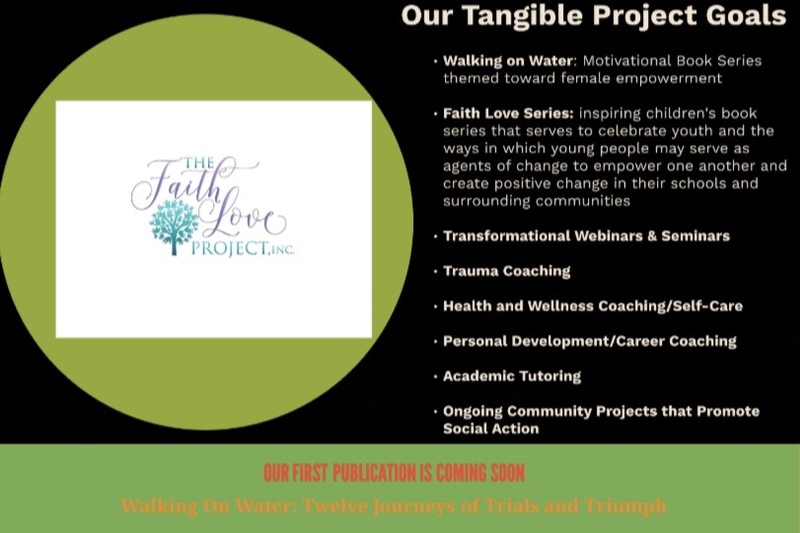 Through decades of experience working with women and youth, we have found that women and children in our communities and around the globe do not see themselves as fellow agents of change because of a lack of understanding of their identities and divine purposes. 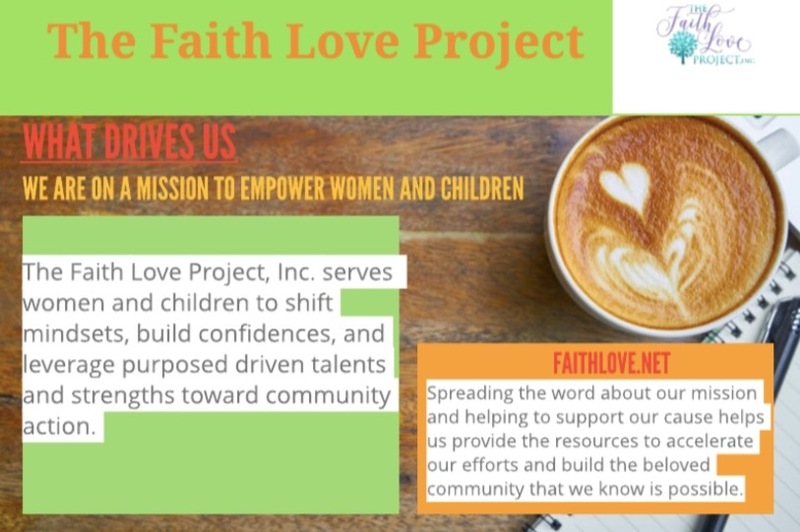 Meet the Faith Love Project , Inc. - We are on a mission to spearhead a movement to bring a positive change to the rights of women and children. 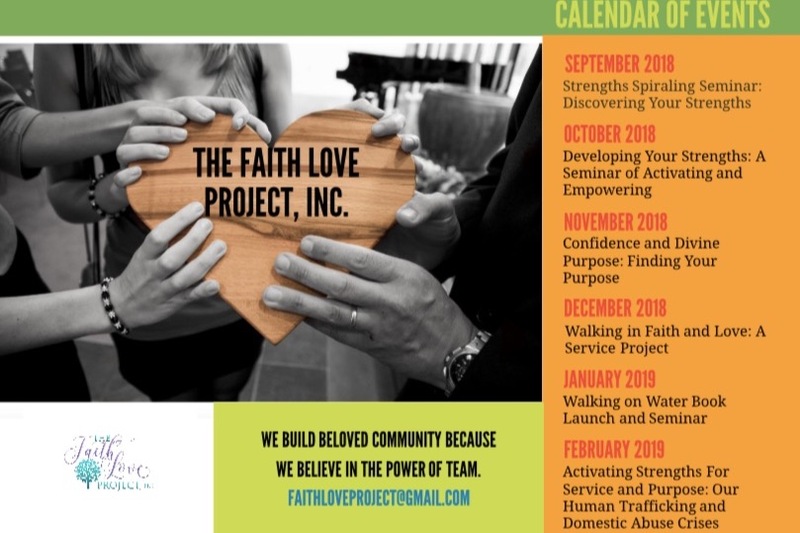 The Faith Love Project, Inc. serves women and children in an effort to change mindsets, build confidence, and bring people together who are ready to take action for a positive change in their communities. We focus on empowerment. We help women and children discover their strengths to build the confidence necessary to guide them into their divine purpose. We are on a mission to create a beloved community by uplifting women and children through coaching and personal development. Because we believe in the power of community action, we have partnered with some of the most prominent individuals, community organizations, and school communities around the globe who support our mission. This includes humanitarian crisis efforts purposed to serve victims of human trafficking and domestic abuse. 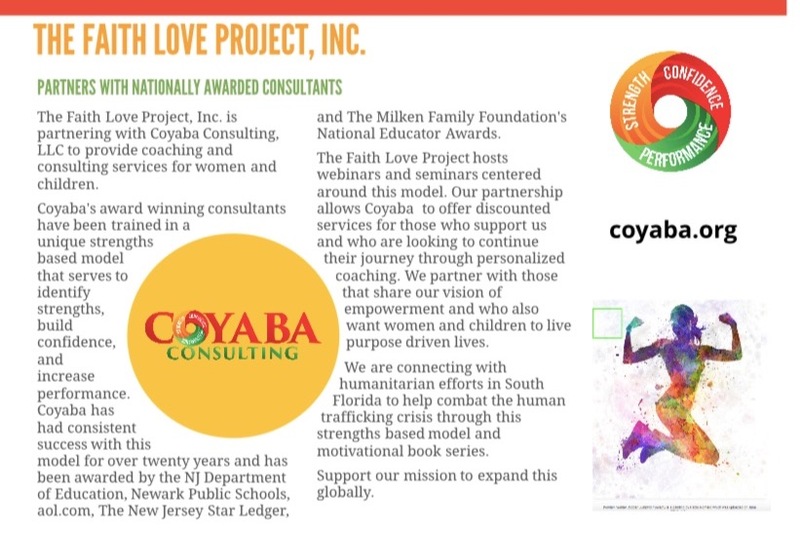 Spreading the word about our mission and helping to support our cause helps us provide the resources to accelerate our efforts and build the beloved community that we know is possible. You, the contributors, are the keys to helping us make this positive change happen. Winston Churchill once said: "I never worry about action, but only inaction." So, be the first one to take action and we'll take care of the rest. 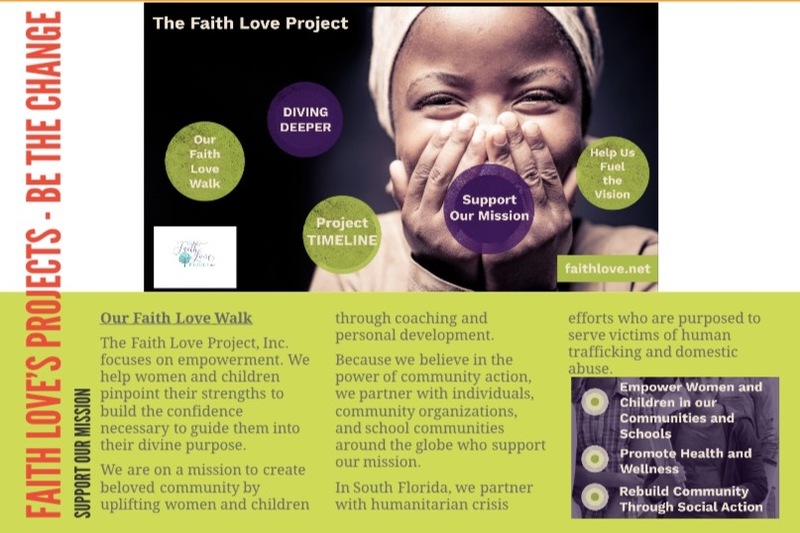 The Faith Love Project, Inc.